An image of the Volna substation following the explosion. Primorye prosecutors will conduct an inquiry into an explosion at an electrical substation in Vladivostok on Friday that resulted in one worker receiving life-threatening injuries. 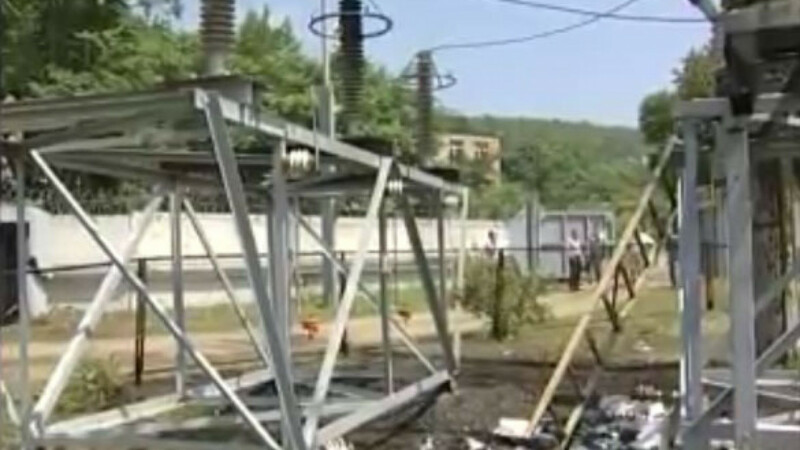 The explosion took place at around 11 a.m. local time while modernization work was being done on equipment at the Volna substation, according to a statement released by the Primorye region administration on its website. One worker sustained severe burns from the blast and the resulting fire and was hospitalized in critical condition, the statement said. The fire was put out by around 11:30 a.m., the local emergency situations department said in a statement on its website. The statement said a short circuit was the likely cause of the explosion. A section of Vladivostok lost electricity as a result of the incident, the regional administration statement said. Power was restored at about 1:30 p.m. The Primorye prosecutor's office will check whether safety rules were followed at the facility and investigate the cause of the incident, regional prosecutor's aid Irina Volodina told RIA-Novosti.